The Bestop Sunrider is an all-purpose, all-weather replacement for bulky hardtop front panels. It has a unique folding design that lets you flip the panel back for an open sky ride. The Sunrider comes completely assembled and ready to install. 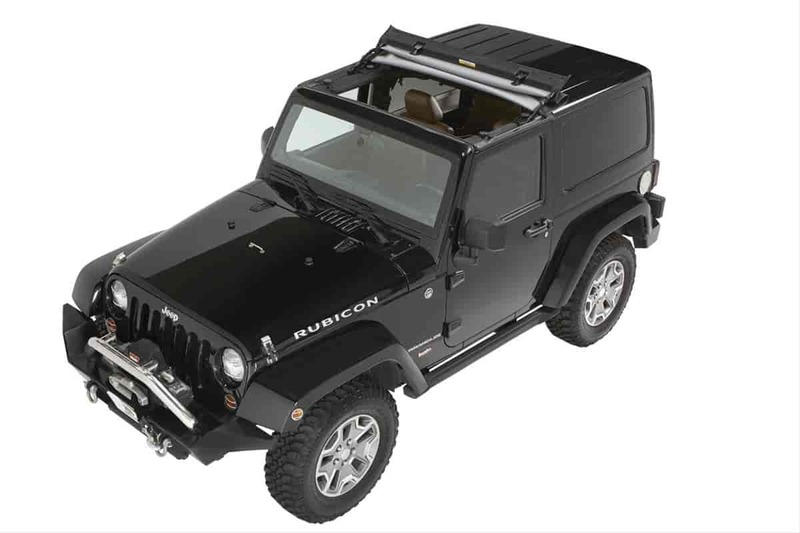 Designed to fit like original equipment on 2007-2018 Jeep Wrangler JK as well as the 2018 Jeep Wrangler JL with a hardtop. Does Bestop 52450-17 fit your vehicle? We match any competitors price - Please click on the &quot;lowest price guarantee&quot; link next to the price on the web page and add the requested information.